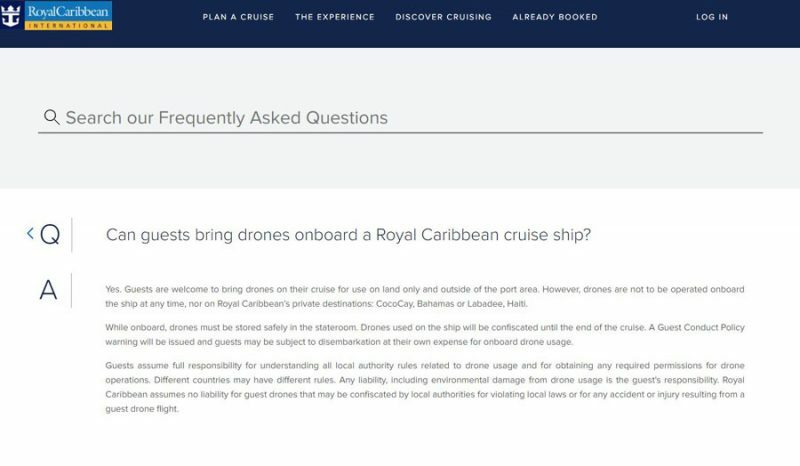 The Royal Caribbean drone policy has changed so if you're thinking of taking a drone on a cruise do check the updated rules for during the cruise and in port. Royal Caribbean has changed its policy for drones which guests bring on the cruise ship. If you do have a drone then read on to find out what you can and can’t do when cruising with the cruise line. Before we go into the details it was the popular Royal Caribbean Blog site which first posted about this and one of their readers noticed the policy change on the official site. Instead of storing a guests drone away until the port of call Royal Caribbean is now allowing guests to keep the drone with them during the cruise but are not allowed to be used while onboard the cruise ship. The drones must be stored away safely in the stateroom. Guests will be able to use their drones outside the port area during a port of call but at their own risk. The cruise line won’t take responsibility for anything that happens at any cruise destination and it’s advised to check the local rules when it comes to using drones. Guests also can’t use drones at Royal Caribbean’s private destinations including CocoCay, Bahamas and Labadee, Haiti. 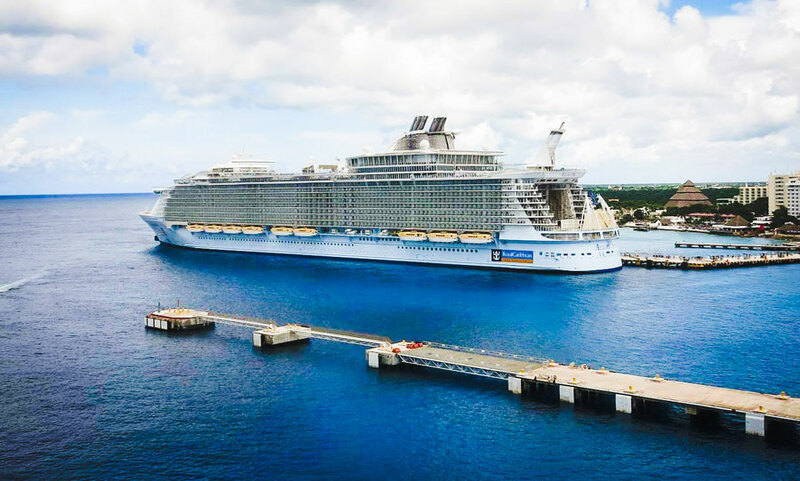 If a guest can’t resist and decides to use their drone while on the cruise ship Royal Caribbean will confiscate it until the end of the voyage and there is even a possibility of a passenger being disembarked from the ship on their own expense. We often see a growing number of stunning drone videos of cruise ships, we’ve posted plenty of them on Cruise Hive and this trend will only grow as more people use more advanced drones during their travels. While on the topic of drones we thought it would be helpful to let you know of some other major cruise line drone policies. Carnival Cruise Line does allow drones onboard the ship but they can’t be used and must be kept safely inside the stateroom. the drones can be taken off when the ship is in port. Norwegian Cruise Line is a lot more strict and passenger are not allowed to bring drones on any NCL cruise ship. Cruise line drone policies could change in the future so always check the cruise line site before your cruise if you’re thinking about taking a drone on your travels.